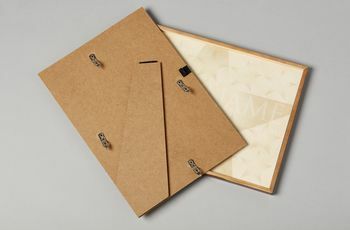 Presentation is everything when you have that special gift to give. 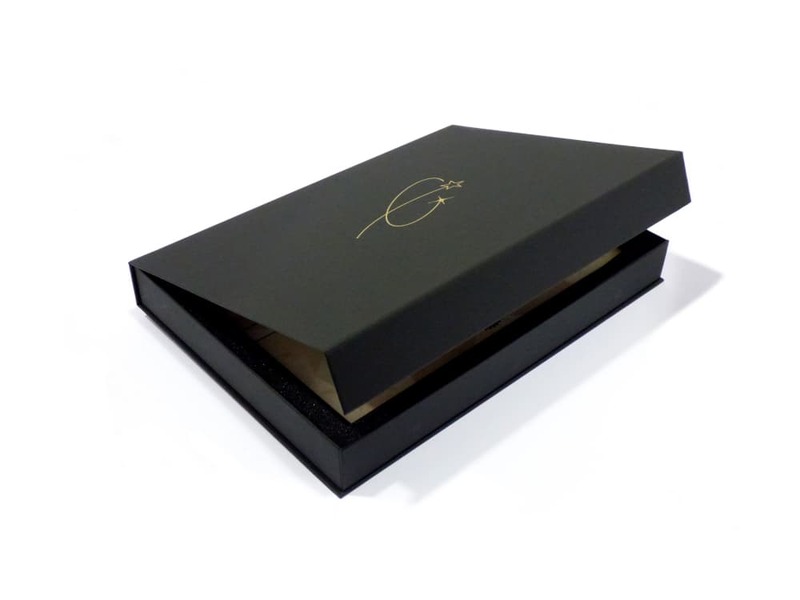 We’ve created these luxury gift sets to ensure that whomever your recipient is, it will be a surprise that they will long remember. 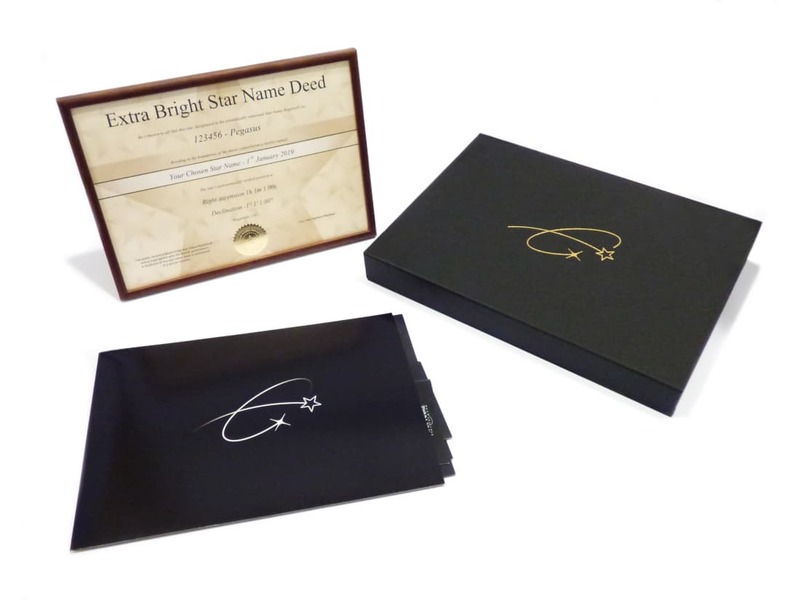 Our Bestseller the Extra Bright Star Gift Set. More easily spotted than our Standard Star, the gift set option of our Extra Bright Star comes in a luxury presentation box, and the deed is presented in an oak finished wooden frame. 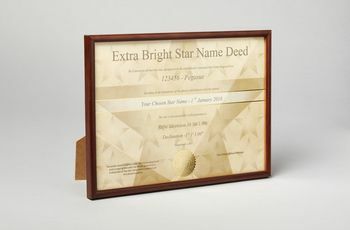 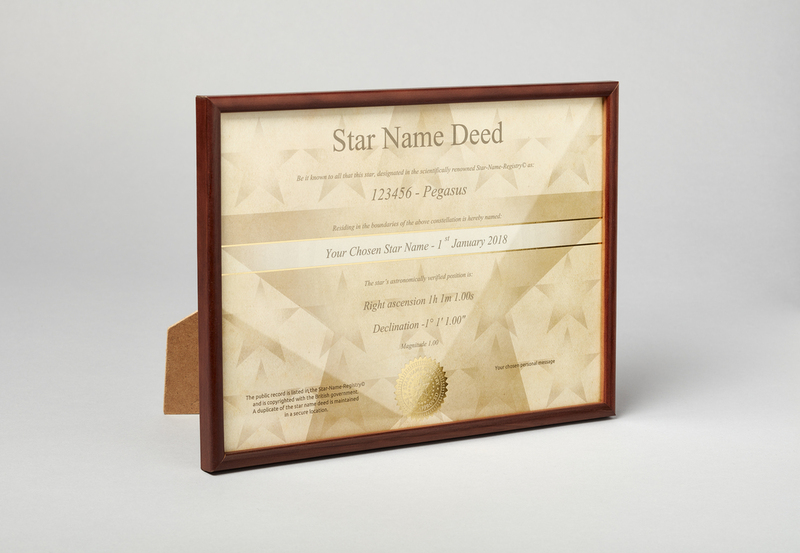 Standard Star framed certificate in our luxury presentation box. 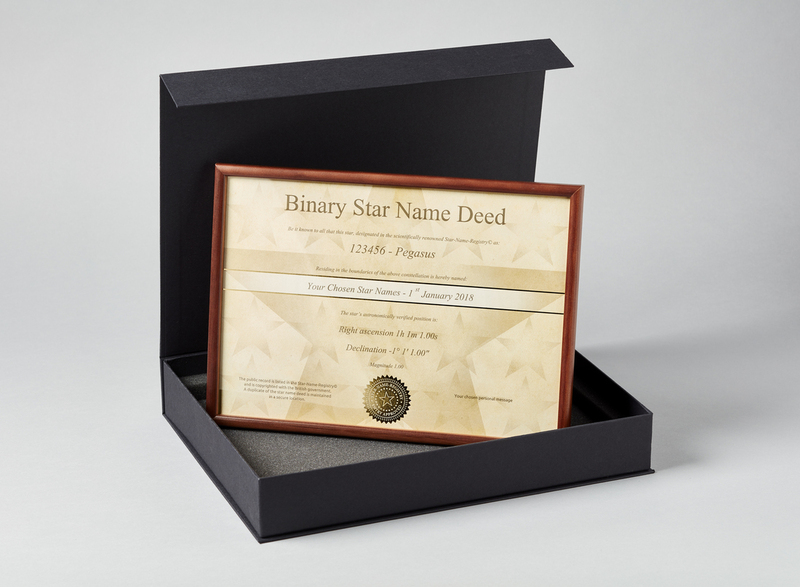 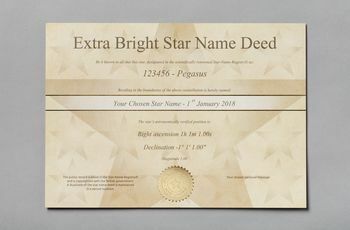 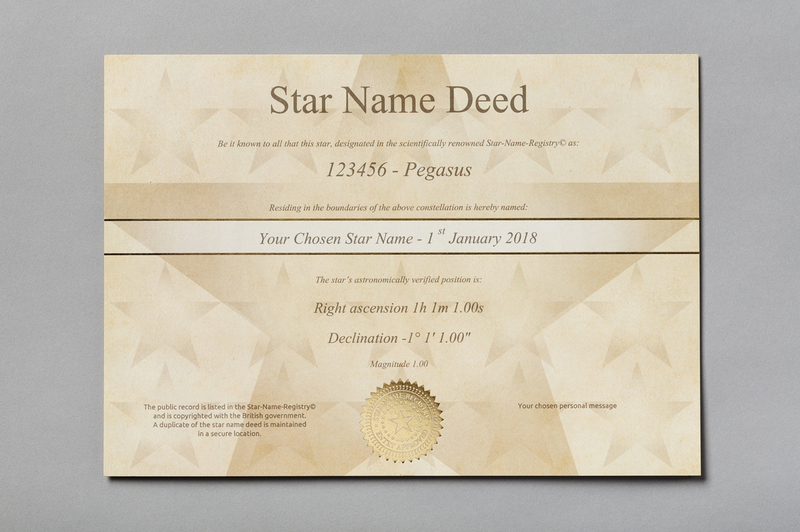 The star name deed arrives in a wooden frame and it is delivered in our luxury black presentation box. 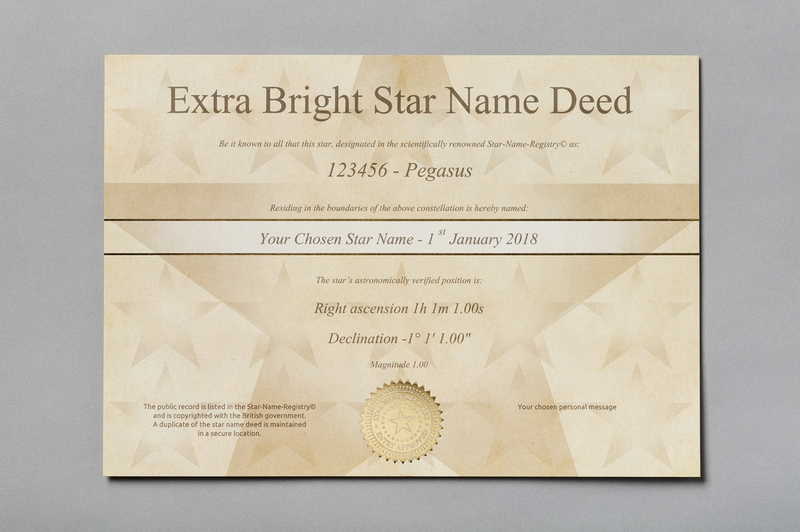 Only available with the Gift Set Option. 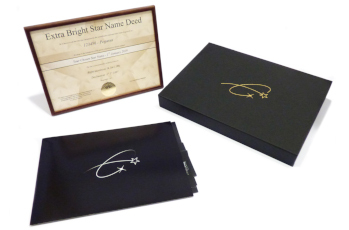 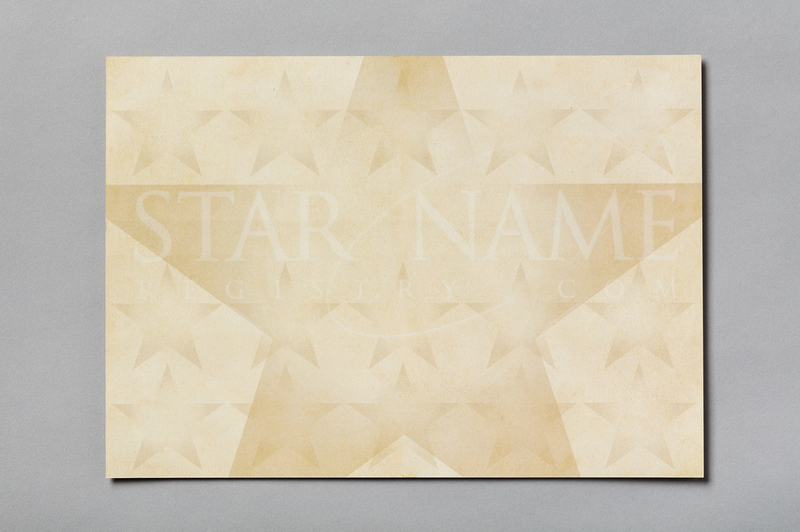 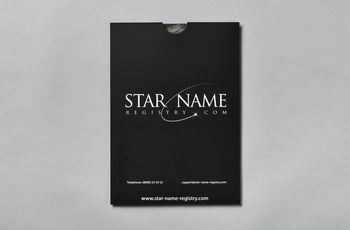 Our Enveloped Gift Packages are our most basic versions of our ‘Name A Star’ packages. 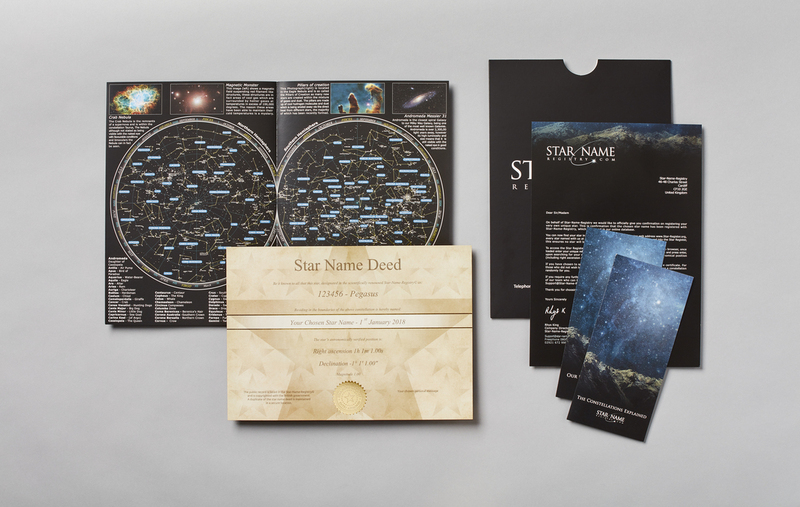 Each package comes with the star name deed and the supplementary materials – perfect if you’re looking for that magical gift on a budget. 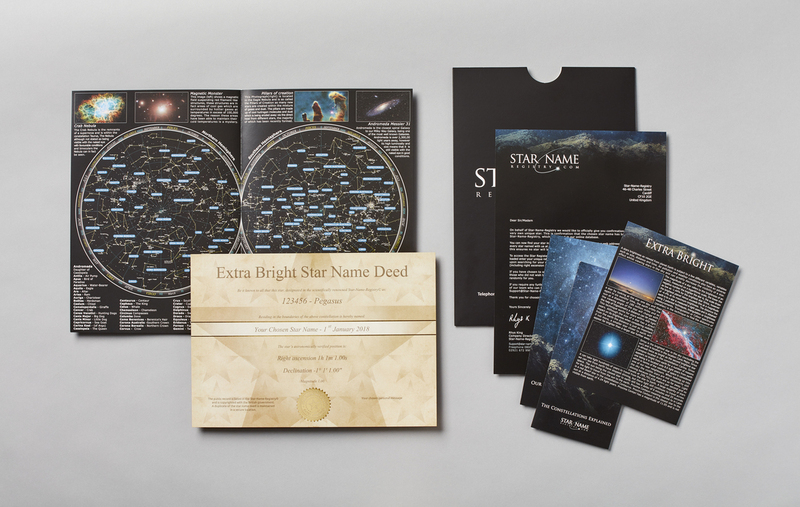 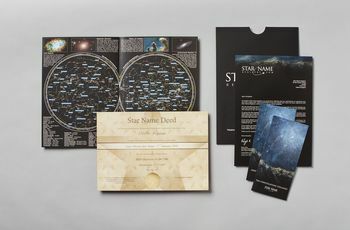 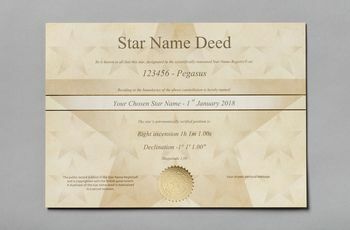 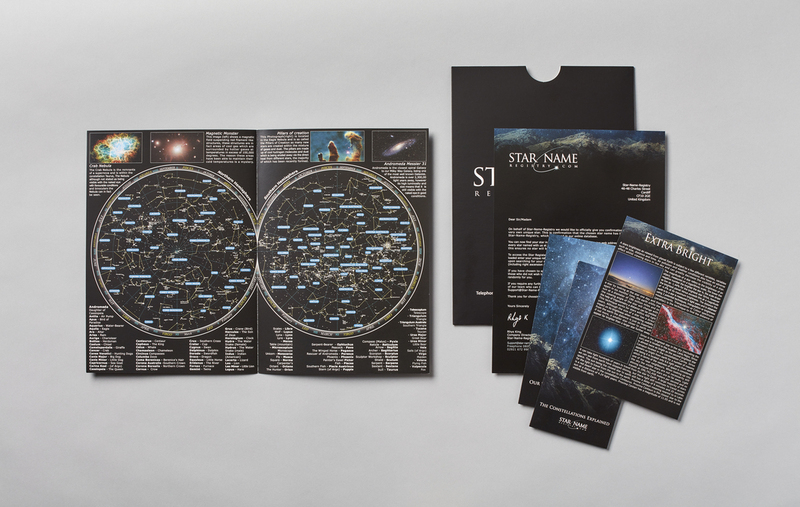 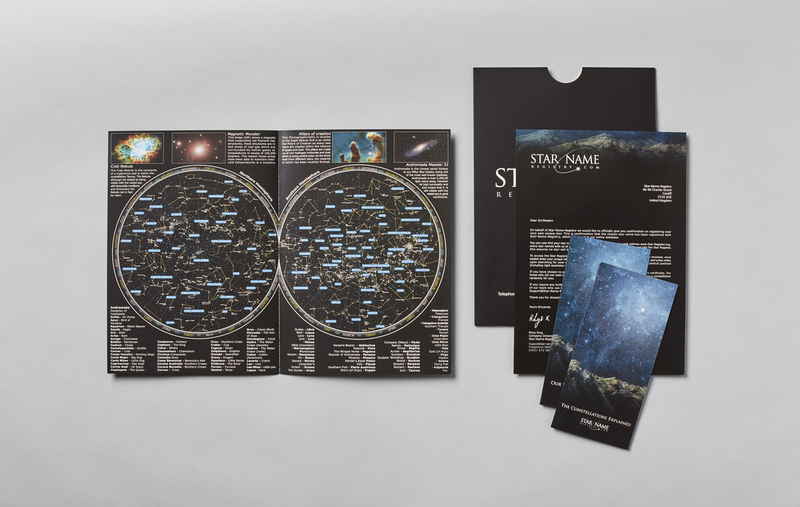 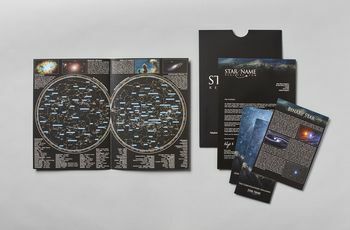 The Standard Star Basic Package includes the star name Deed, sky atlas, constellation guide, universe factsheet, and a welcome letter. 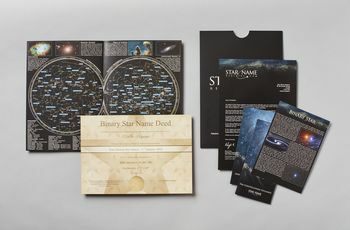 The Binary Star Basic Package includes the star name deed, sky atlas, constellation guide, universe factsheet, welcome letter, and binary star explanation sheet. 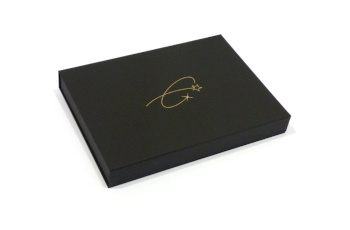 The Luxury Presentation box not only offers a high-quality presentation to our name a star gift but has been designed with practicality in mind, ensuring a smooth delivery from our warehouse to your doorstep. 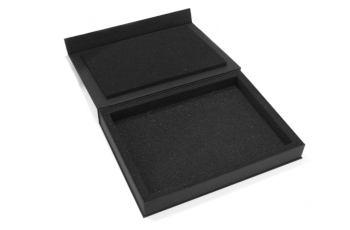 Luxury black presentation box – held closed by magnetic shutters keeping contents safe inside. Easy open lid, parallel to the company’s logo. 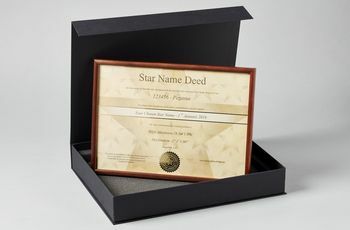 Shock absorbent foam keeps the framed deed safe while the package is in transit. 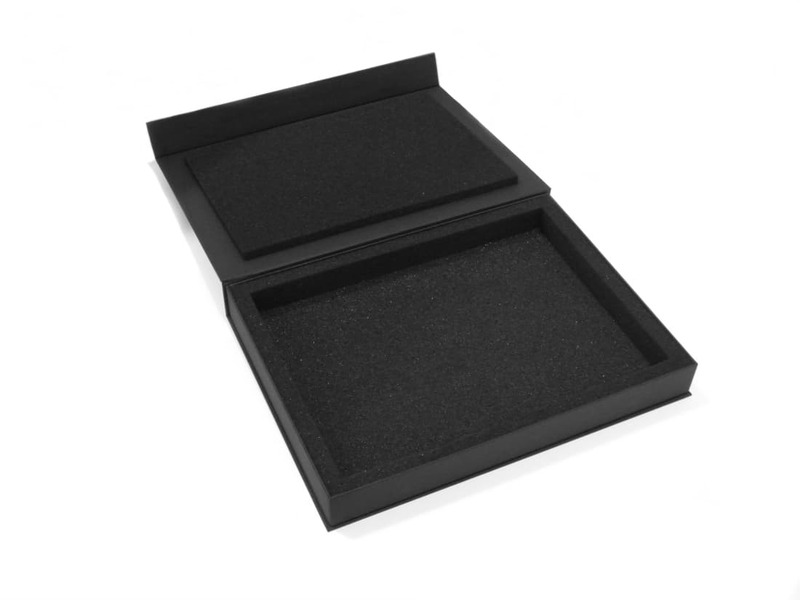 Frame fits into presentation box as above. 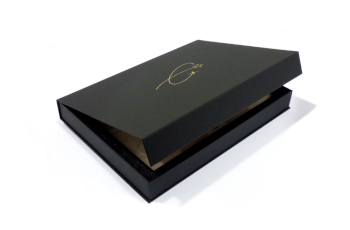 With every gift set, we will be including an oak finished wooden frame. 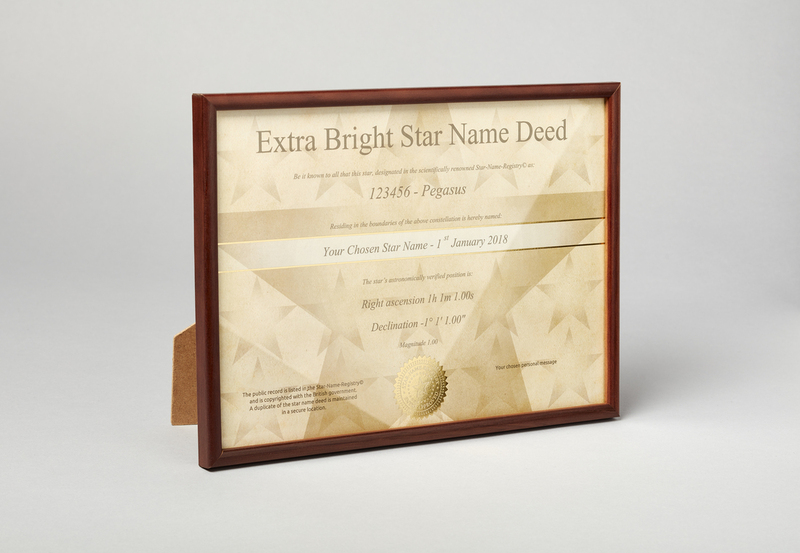 Contrasting nicely with our gold certificate, it’ll be perfect standing on any mantlepiece or hanging from any wall. Back of the wooden frame – with a stand to prop up on a flat surface. 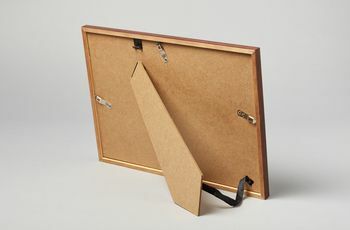 Frame also comes with removeable clip to hang onto a wall. 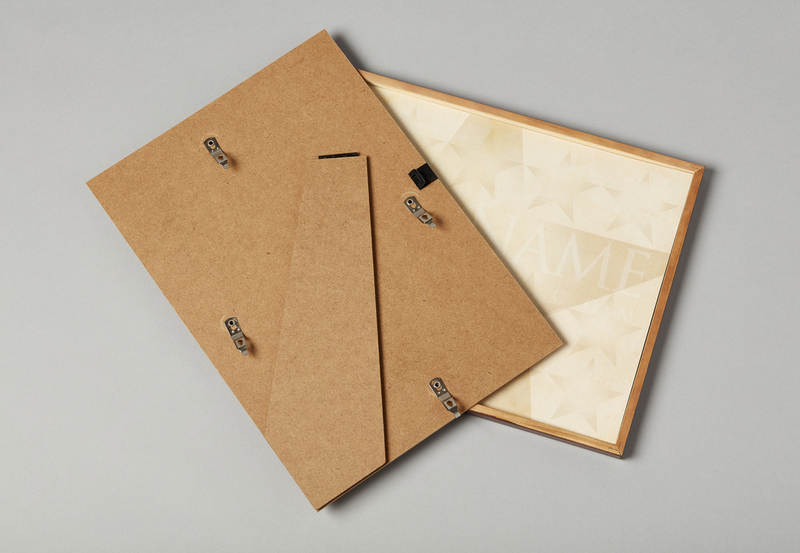 Frame’s clips are easily removeable, to change deed if necessary. 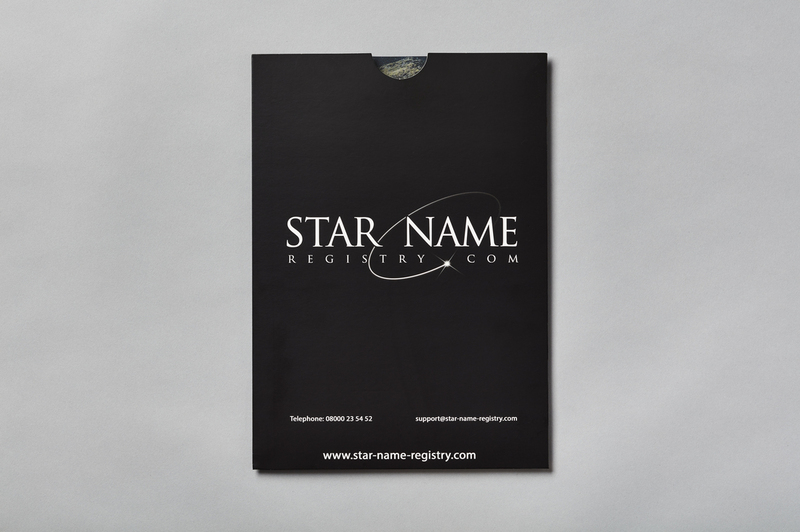 Every single product we sell comes with some supplementary materials. Perfect to inform a recipient of the nature of the gift, or for you to brush up on your own intergalactic knowledge! All orders will be dispatched within 12 working hours. Sent either Canada Post 3-7 Working Days or DHL Express 1-2 Working Days. 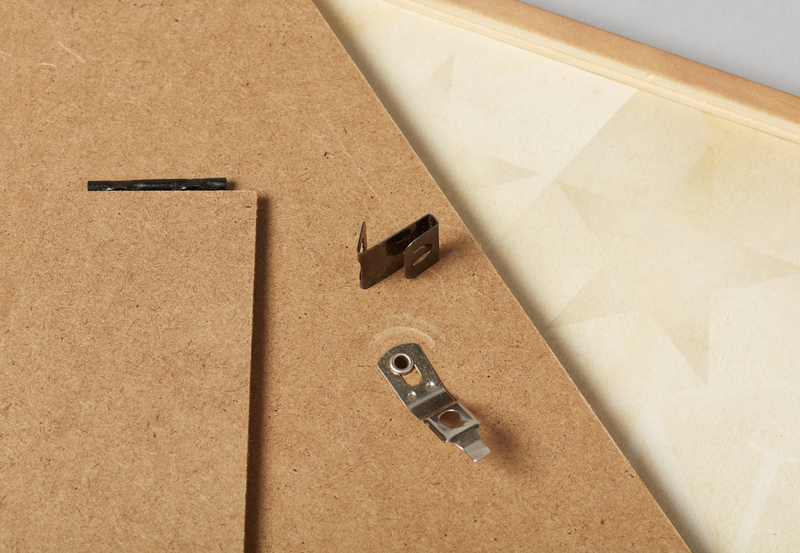 Service outside of Canada may vary depending on location.